Events marking the anniversary were also expected Sunday in both Charlottesville and Washington, D.C. Downtown streets and public parks are closed, and visitors can't wear masks or carry certain items in a downtown "security area"
A day after tensions between police and community activists nearly boiled over on the University of Virginia's campus, the city of Charlottesville marked Sunday's anniversary of a deadly gathering of white supremacists with a rally against racial hatred. On Sunday morning in Charlottesville, a crowd of more than 200 people gathered in a park to protest racism and mark the anniversary. The group sang songs, and speakers addressed the crowd. Among them was Courtney Commander, a friend of Heather Heyer, the 32-year-old who was killed when a car plowed into a crowd of people protesting the white nationalists. Commander, who was with Heyer when she was killed, said, "She is with me today too." 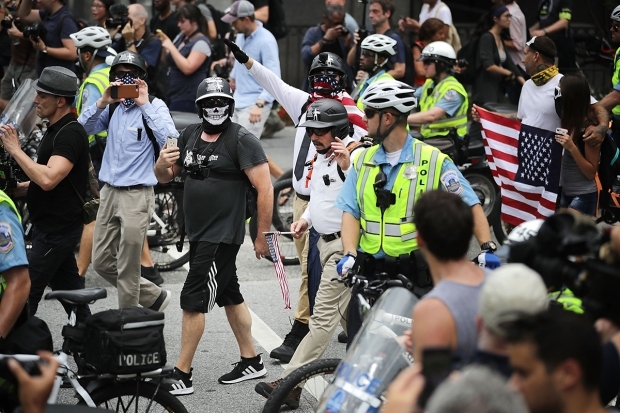 Meanwhile, some 115 miles (185 kilometers) away in Washington, the principal organizer of last year's "Unite the Right" event was scheduled to hold a so-called white civil rights rally, and police prepared for crowds of counterprotesters. Jason Kessler, who abandoned his bid to stage a similar anniversary event in Charlottesville, said in his permit application that he expects 100 to 400 people to participate in his event Sunday afternoon in Lafayette Park, in front of the White House. President Donald Trump won't be there, though. He was at his golf club in New Jersey. On UVA's campus Saturday night, police had a brief, tense confrontation with students and other activists angry over a heavy security presence. They unfurled a banner reading "Last year they came w/ torches. This year they come w/ badges" and chanted "Why are you in riot gear? We don't see no riot here." More than 200 marched to another part of campus, where many shouted at a line of officers. Last year, 22-year-old Clara Carlson faced down a group of white supremacists who marched through campus, surrounding her and a group of friends. On Saturday night, she was angry at the police response to the student rally. Images: Violence Erupts at White Nationalist Rally in Va. Violent fighting broke out between attendees and counterprotesters. 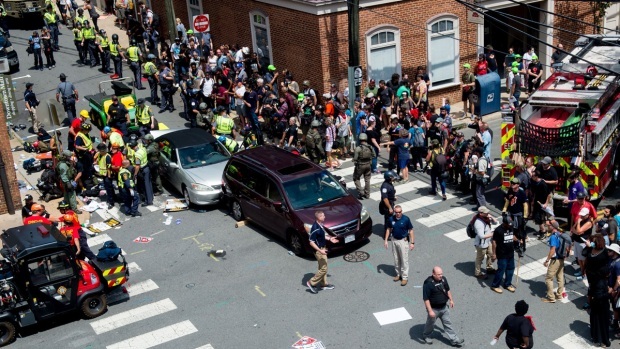 Authorities eventually forced the crowd to disperse, but a car later barreled into the crowd of peaceful counterprotesters, killing Heyer and injuring dozens more. A state police helicopter later crashed, killing two troopers. Heyer's mother, Susan Bro, brought flowers Sunday afternoon to the spot where her daughter was killed. Bro embraced supporters and thanked them for coming to remember Heyer, but also said the day was about more than just her daughter. She recognized the other victims of the attack and the troopers who died, Lt. Jay Cullen and Trooper-Pilot Berke Bates. A year later, Bro said there's still "so much healing" left to do. 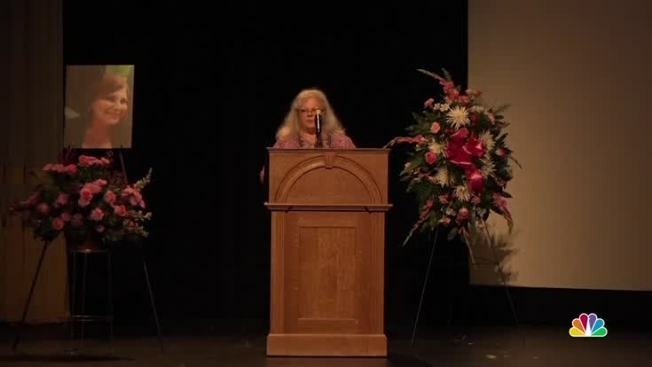 "We have a huge racial problem in our city and in our country," she said. "We have got to fix this or we'll be right back here in no time."